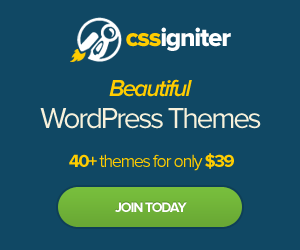 Create your own Hotel website with Wordpress and Wordpress Theme. Wordpress is the best, easiest and fastest way to create a website with no programming knowledge. You can use this Hotel Wordpress Theme to create for any Hotel, Inn, Bed and Breakfast, Guest House, Hostel, Chalet, Vacation Rental, Ski Resort, golf resorts, motels, or any type of accommodation and reservations website. Rooms can be created directly in the admin panel. All rooms created will automatically be added tot the scrolling featured image slider on the frontpage. Customers can use the simple contact form to contact the hotel directly. The reservation feature has a date picker and you can select the number of guests, email, contact name and address of the person wanting to make a reservation. You can contact them later if the reservation has been accepted. This Hotel Clone has a responsive design, free skins to change the look, unlimited colours scheme, of your Hotel Website, tons of slider effects and more. Click here to see more features of Guest House. Standard slider on any page. Admin branding allows to you to upload yout own logo, colors & texts into admin. Guesthouse is a great WordPress Theme to create your own Hotel Website. This theme has a fully responsive design for visitors viewing your site from a smartphone or tablet device. The content auto wraps to the screen and words are still readable without squinting. You can test the responsive design by viewing the demo and resizing the window. Guesthouse also has 8 free skins where you can change the color scheme of your site on the spot, you can also change the colour of the site to whatever you want. The best part of this hotel theme is that there is a reservation module. Visitors can fill out a form to express interest in booking a room in your hotel. They will leave their name, contact number, email address, number of nights staying, type of room, special needs and more. 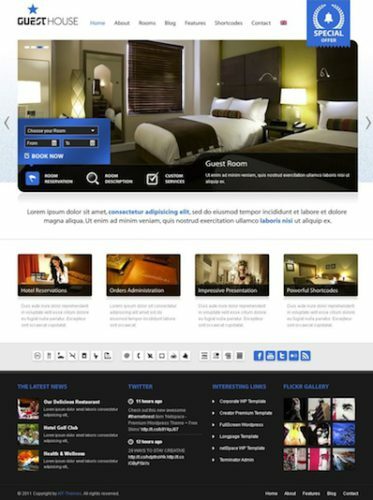 I definitely recommend you to demo the Guesthouse Hotel WordPress Theme and check out all the features.